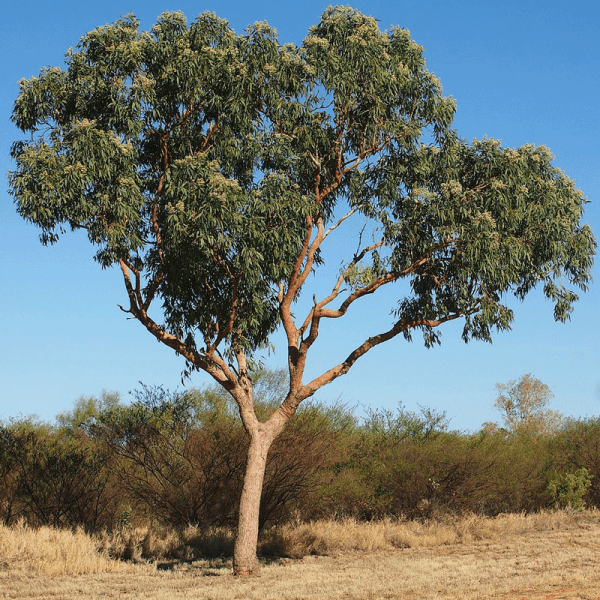 The Marri tree is native to Western Australia and its wood is found in many furniture designs. This bloodwood tree can grow upwards of 40 metres and has a rough brown-red bark. The large nuts that are produced are favoured by cockatoos and galahs due to the large seeds inside that they use as a food source. A bad soil or area won’t deter this tree from growing.